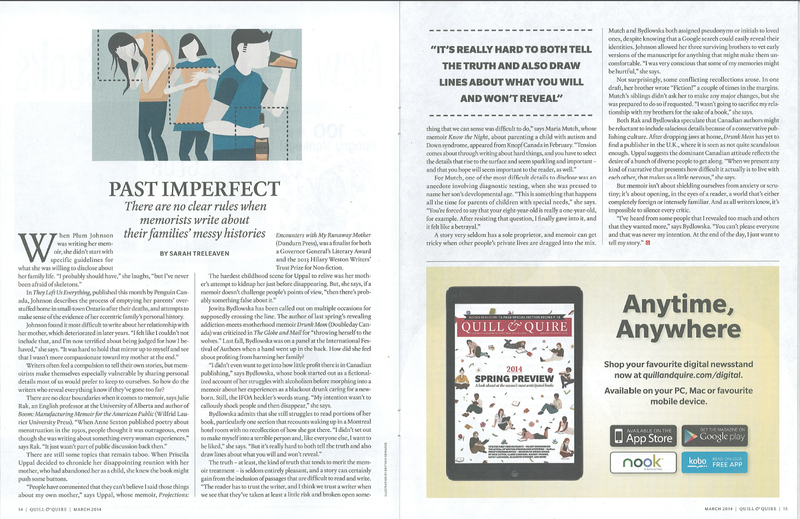 April 2014 Issue of Reader’s Digest publishes excerpt of They Left Us Everything p. 122-134 as Editor’s Choice. 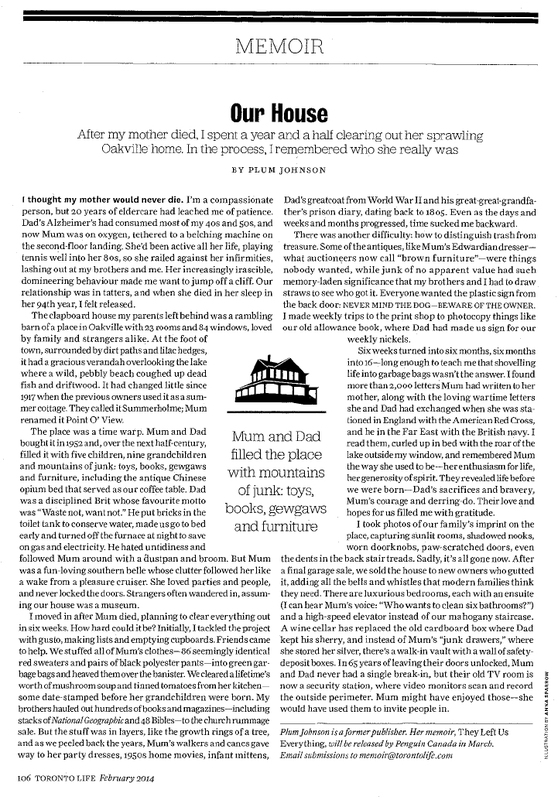 Article by Plum Johnson, published in Toronto Life magazine, February, 2014. Illustration by Anna Sparrow. Article by Sarah Treleaven, published in Quill & Quire magazine, March, 2014. Illustration by Britany Edwards.